This past year’s events include the “Coffee Break” series sponsored by the English department and a series of book discussions by the Tolle Lege Literary Society. 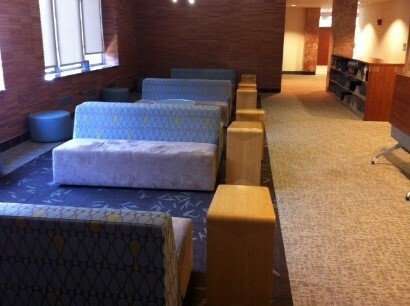 Some of the Learning Commons Lounge’s best features are its mellow ambiance and morphable layout. Although moderately small, it is also a quieter public event space than Speakers’ Corner on the first floor. 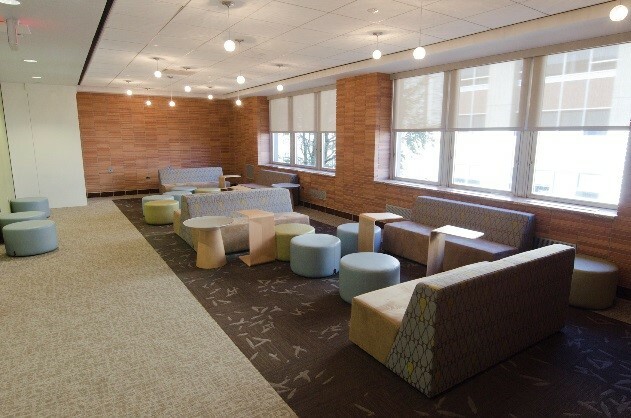 If you are interested in booking an event, or just more information about the Learning Commons Lounge, please contact a member of Falvey’s Scholarly Outreach team, which manages this event space for the Library. Check here each day this week for information on each of Falvey’s other event venues: including the Speakers’ Corner and Rooms 204 and 205.